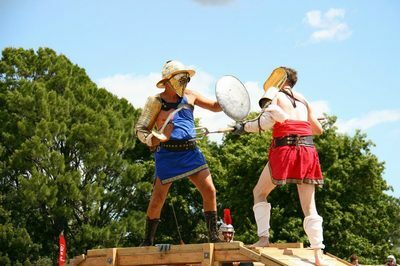 The Howick Military Tattoo and Waldorf Medieval Faire were graced by our living history camp, Roman displays and Gladiator fights. 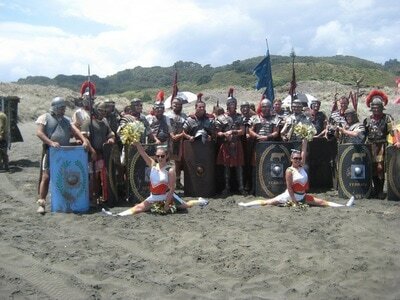 We starred in a local rock band's music video, and were employed out on location to star in a Samsung tv commercial. 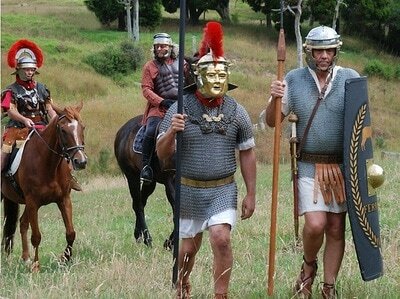 At the Pointways Pony Club we formed a fledgingly Roman cavalry unit. 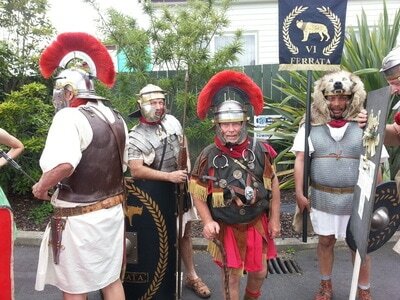 With other groups at the O'Hara Estate we participated in a joint Roman living history camp. 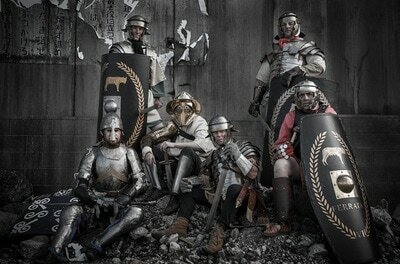 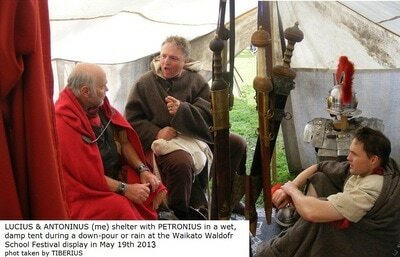 At Armistice Cambridge we camped with the X Legion and put on Roman marching dispays and Gladiator fights. 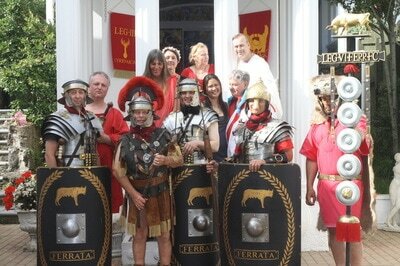 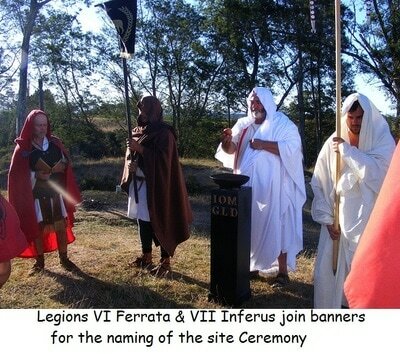 The year ended with the Santa parade and our Saturnalia party at the Roman Temple.